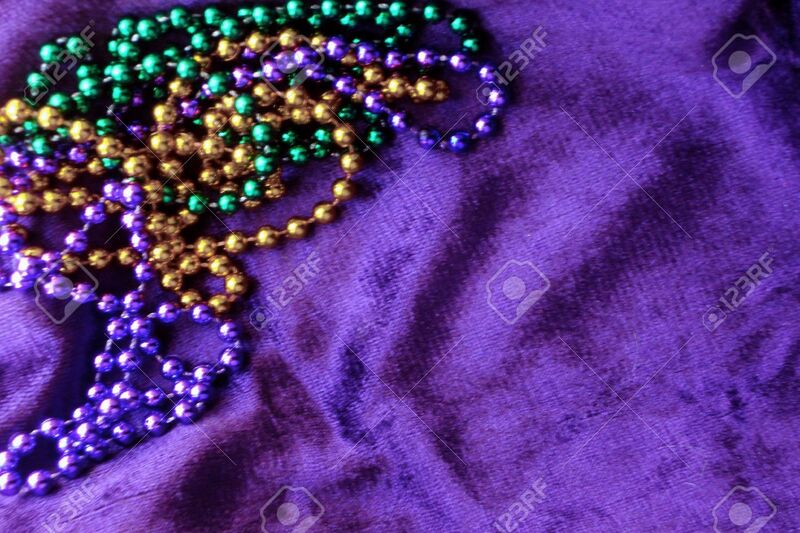 Mardi Gras Beads To Toss: Gold, Green, And Purple On A Purple.. Stock Photo, Picture And Royalty Free Image. Image 8927413. Stock Photo - Mardi Gras beads to toss: gold, green, and purple on a purple velvet background. Plenty of copy space. Mardi Gras beads to toss: gold, green, and purple on a purple velvet background. Plenty of copy space.